ABPU stands for average bookings per daily user. Bookings are Zynga’s accounting category for in-game purchases. Zynga Inc (NASDAQ:ZNGA)’s vital revenue segment is online gaming. Because Zynga focuses on freemium or free-to-play game titles, the money comes in through in-game purchases. Players spend money for extra rounds or game rewards that will advance play. The daily user metrics tracks the amount of players who log in to Zynga’s titles on a given day. In theory, a higher number of daily players would lead to a growth in bookings. But that’s not what’s happening. Here’s a comparison of Zynga Inc (NASDAQ:ZNGA)’s DAU and ABPU growth over the past few years. Note that DAU growth has held somewhat steady, while ABPU growth declined for five straight quarters before recovering slightly. Zynga’s user base has grown, but the amount of money spent per person has plummeted. The company’s problems will continue if the ABPU doesn’t grow. Zynga needs to retool its in-game incentives so that they’re more desirable to players. There’s another variable in the mix. 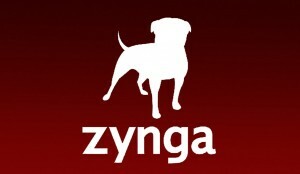 Zynga Inc (NASDAQ:ZNGA) games historically used Facebook Inc (NASDAQ:FB) Credits for the in-game purchases. Facebook’s proprietary currency didn’t match up to the real world value. For example, $5 bought 50 Credits. But Facebook announced last summer that Credits would phase out in favor of using local currencies – or “real” money. Credits ended in the third quarter, but developers had an additional 90 days to make the change. Zynga’s earnings reports for the first half of this year should show whether that change will make players more or less likely to make in-game purchases. If players balk when they see the real world price spelled out clearly, Zynga Inc (NASDAQ:ZNGA) will also need to reconsider its pricing strategy. But there’s little wiggle room there since Facebook Inc (NASDAQ:FB) gets 30% of what Zynga earns on in-game purchases.